If you have never heard of Shuttle Inc. before, then I may have to question where you have been hiding the last 10 or 20 years. Yeah ok, not EVERYONE is bound to know who Shuttle is, and for those who don’t, let me give you a little insight. 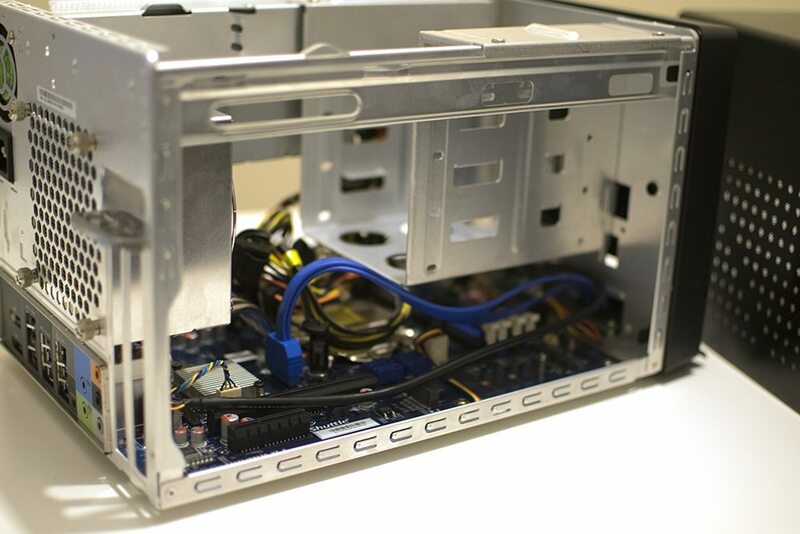 Shuttle Inc. is a company synonymous with barebones systems and motherboard solutions. Since their formation in 1983, this Taiwan based company was winning awards even before I was born (1986) and it’s obvious to see why they have garnered the respect and reputation fitting of such a company. 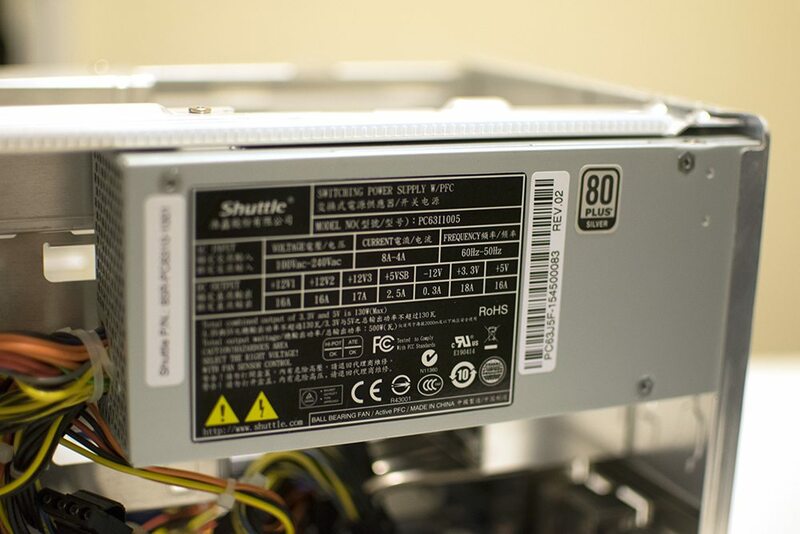 So touching more on barebones PCs, we’ll be taking a look at one of their latest models to hit the market, the Shuttle SZ170R8. This not only has support for the latest Intel 6th generation Intel processors (Skylake LGA 1151), but also support for up to a maximum of 64GB of DDR4 2133MHz memory across 4 channels; 4 x 16GB over a dual channel configuration just for those wondering. 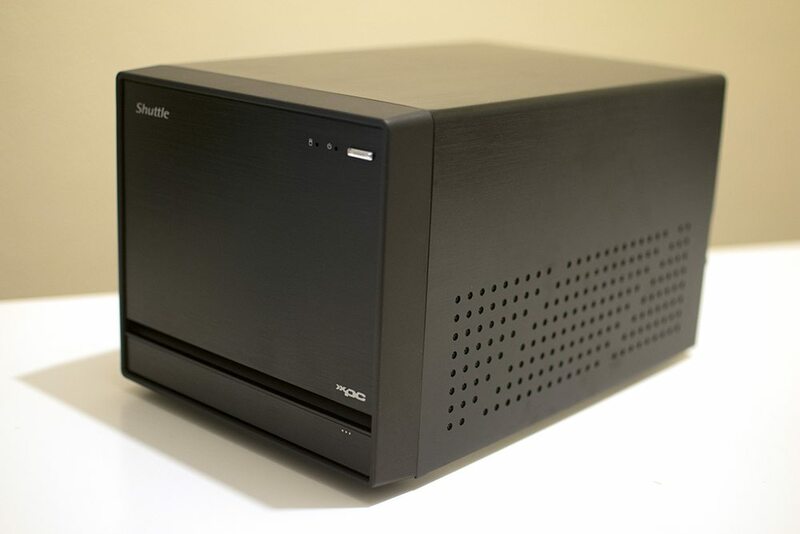 Taking a closer look at the Shuttle SZ170R8 Barebones system, the exterior features a lovely anodised black aluminium finish with plenty of ventilation on both sides. 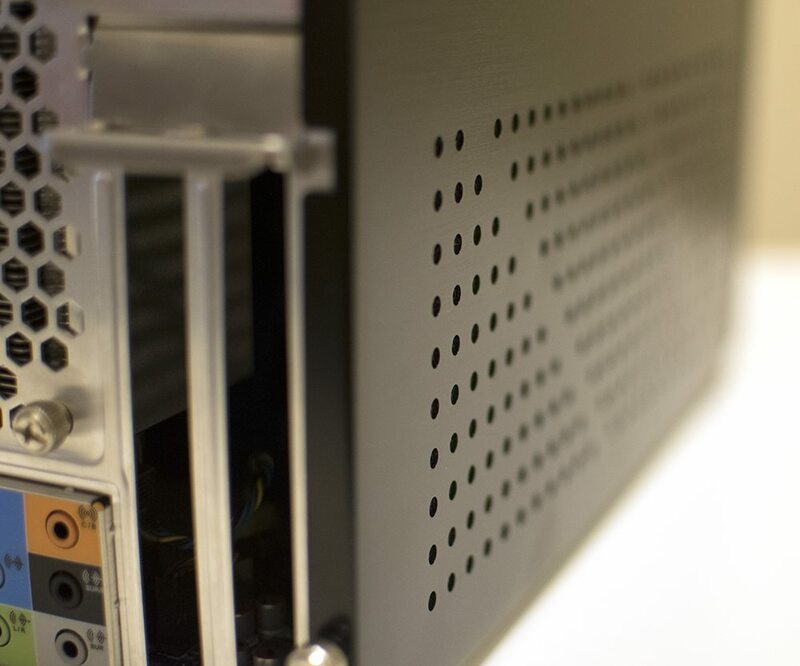 Towards the bottom of the front panel, we have the front I/O which is subtly covered by a small plate; to access the I/O, simply press where the 3 dots are and voila. Doing this exposes 2 x USB 3.0 ports and 2 x 3.5mm audio jacks for headphones and a microphone. 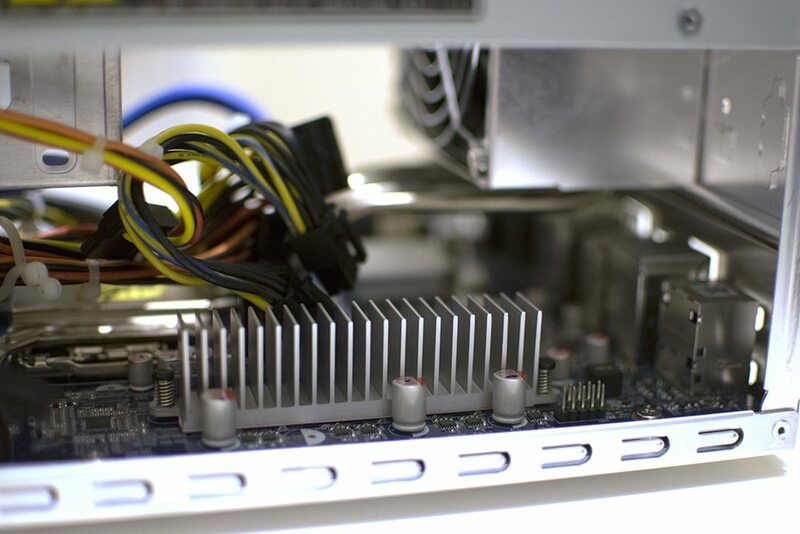 The Z170 chipset is ever present within the XPC Cube SZ170R8 and that is noticeable in the terms of connections this barebones features. 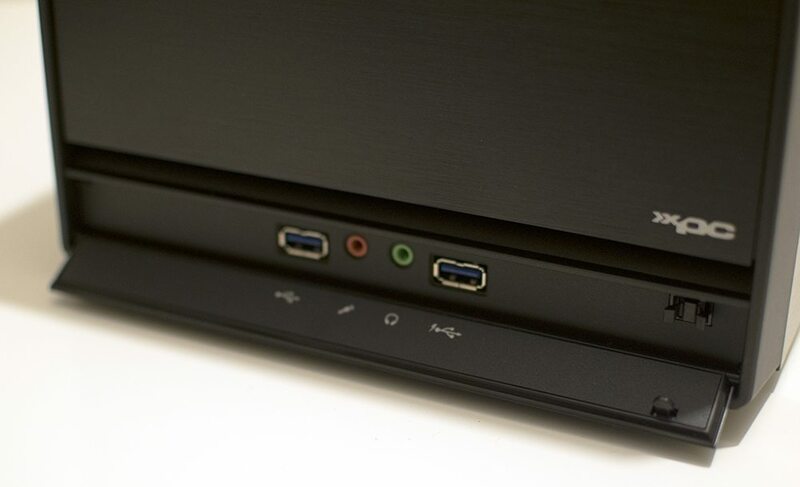 The rear features a staggering 2 x DisplayPort connections natively, 1 x HDMI, 6 x USB 3.0, 1 x eSATA, 1 x RJ45 Ethernet port, a nifty little clear CMOS button and on-board audio connections thanks to the Realtek ALC892 audio codec chip. 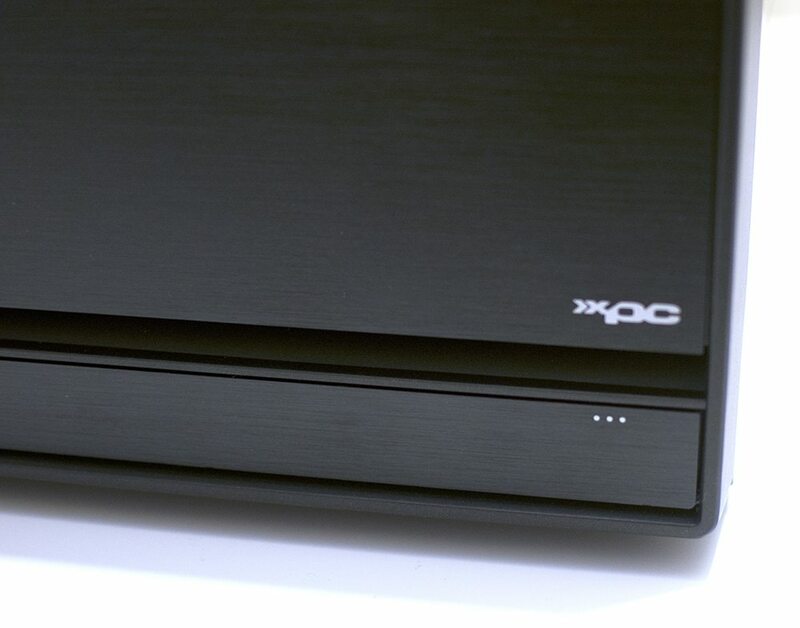 After unscrewing the chassis cover, I thought it would be a good time to delve inside this particular XPC Cube and see what’s on offer. First of all, although not considered as edgy and vibrant as a bright pink custom PC, Shuttle shy away from all the bells and whistles that some manufacturers roll out to confuse their customers with. 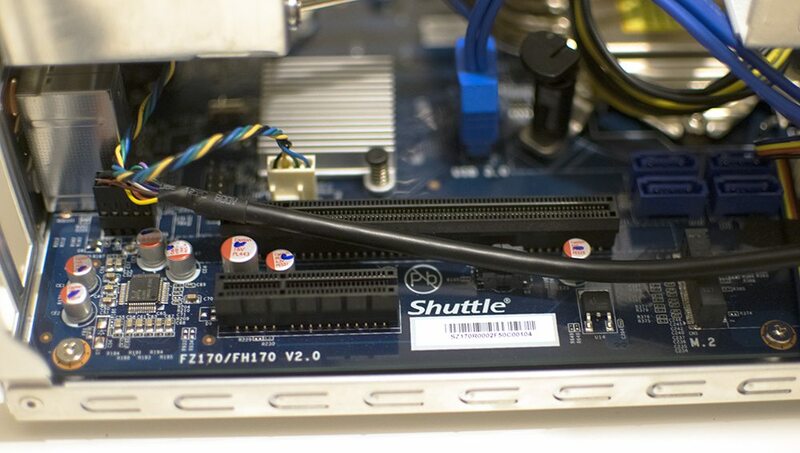 The Z170 motherboard featured inside the SZ170R8 has 2 PCIe slots for adding graphics cards, RAID controllers, network cards and even sound cards. 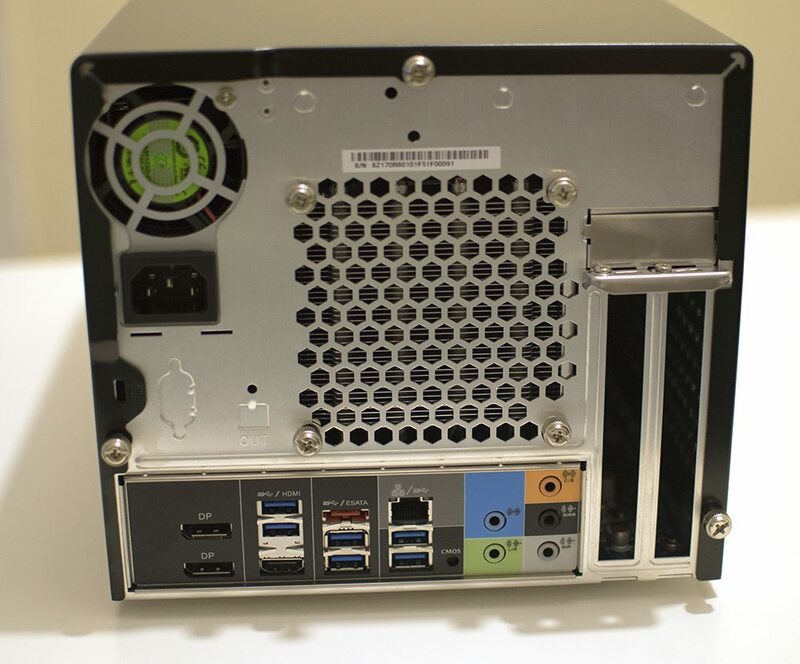 It’s worth noting that there is only space for 1 x dual card, but this Shuttle could easily accommodate 2 x single slot cards; 1 x PCIe x16 slot and 1 x PCIe x 4. A CPU cooler isn’t required as this particular model comes with a very nifty integrated system, although it needs to be noted that only CPUs with a maximum of 95w TDP are supported. 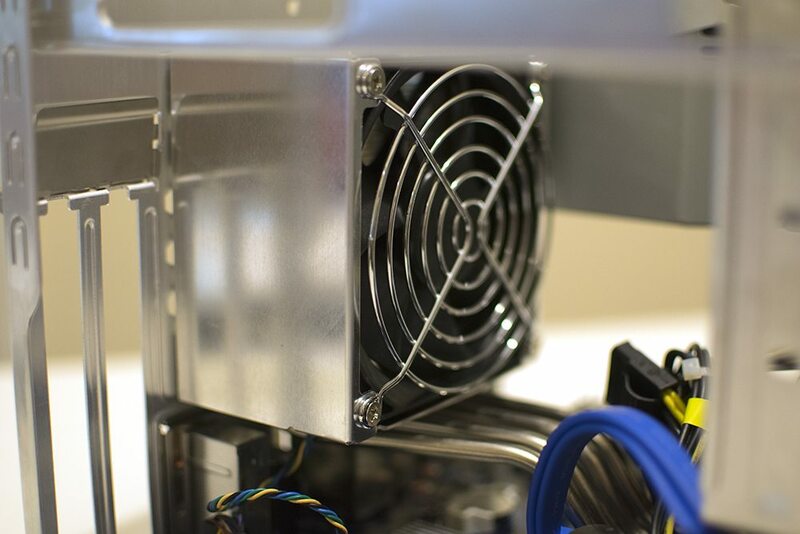 The design of the cooler itself is interested as it’s actually installed in 2 separate parts; the box which features the singular 80mm fan and the 4 heat pipe direct contact array which is connected to the block itself. 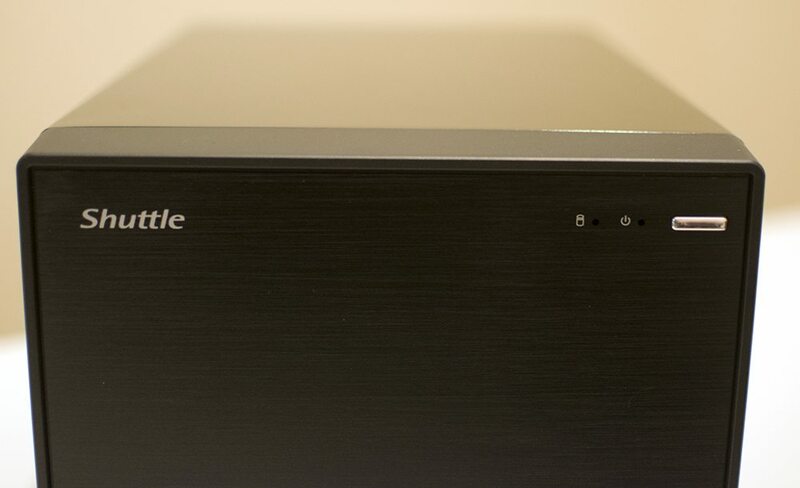 A system wouldn’t be any use without a power supply, so say hello to the Shuttle 500w 80 PLUS Silver Shuttle form factor unit that the SZ170R8 does come pre-installed with. 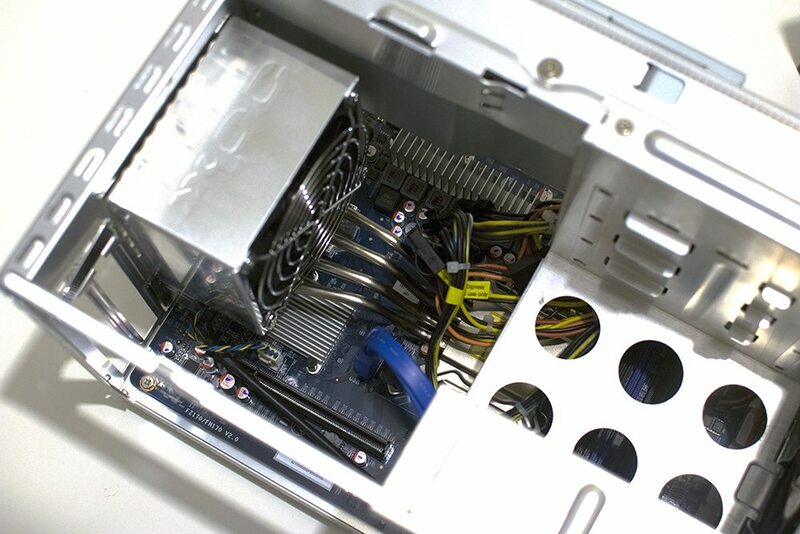 It has a variety of connections such as 4 x SATA, 2 x 4pin fan connectors and 2 x 6pin PCIe connectors. Let’s get some parts installed now shall we?